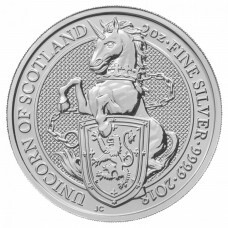 This new two ounce silver coin is the fifth release in a new series of ten issues. 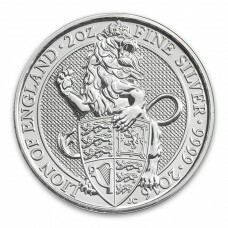 Each of the ten coins in this new series will feature a heraldic animal of the British Royal Family. 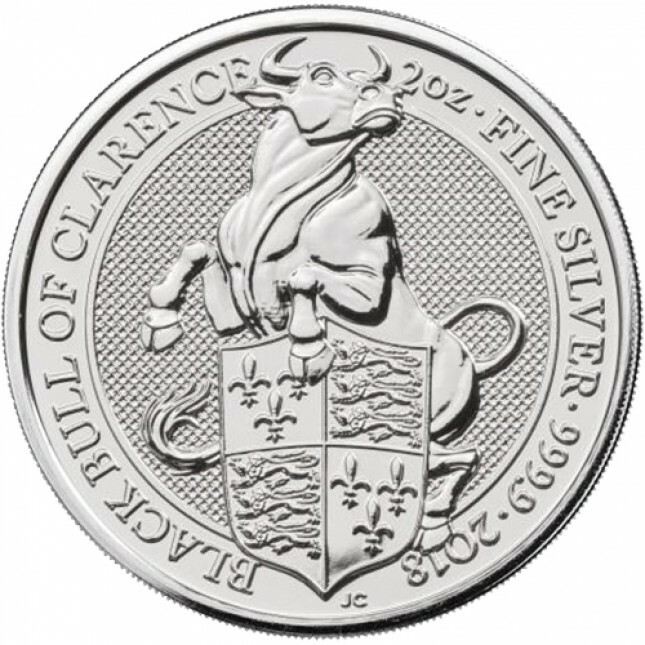 This is the fifth two ounce silver coin released by the UK's Royal Mint. 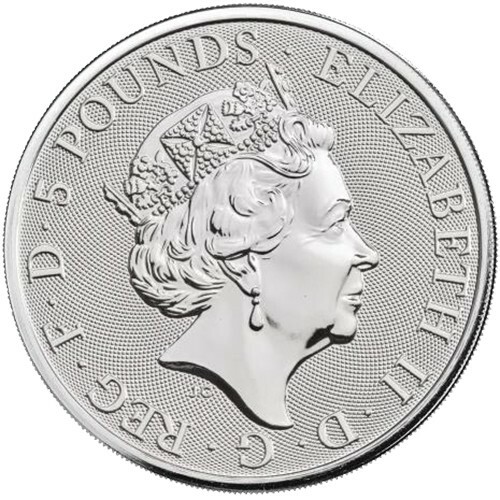 The fifth two ounce coin minted at the Royal Mint in Wales. Quantities of 10 pcs are shipped in original Royal Mint plastic tubes. 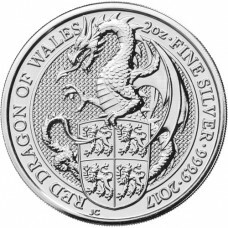 Quantities of 400 are shipped in original Royal Mint sealed boxes. This new series of coins from the Royal Mint honors these ten mythical creatures: the Queen's Beasts. 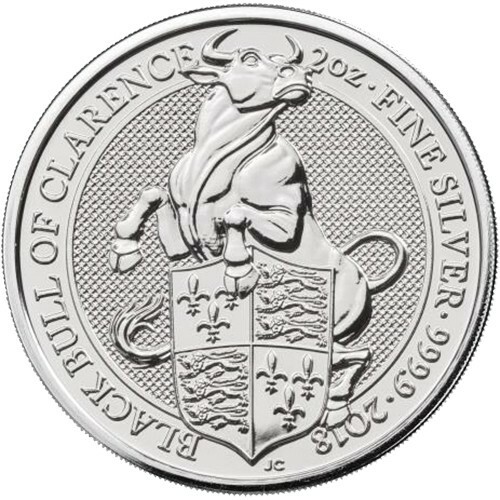 In addition to a two ounce silver coin, a 1/4 oz gold coin and a one ounce gold coin will also be produced for each of the ten animals in the series. 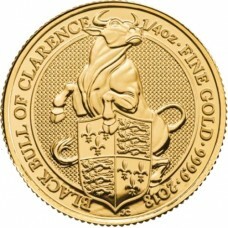 This coin, featuring the English Black Bull of Clarence, is the fifth in the series. As Low As $2.59 Over Spot!